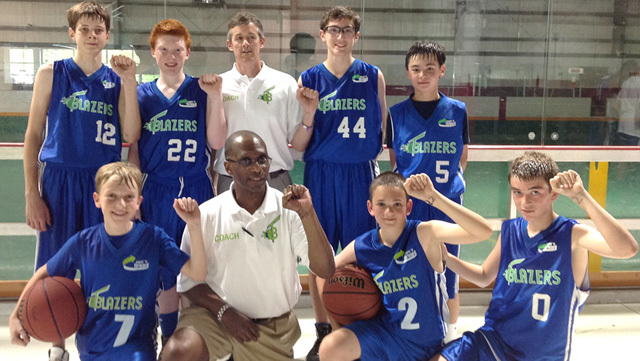 The Triangle Blazers Basketball Club is more than a club – it is a basketball family. The kids at various ages interact and take care of each other. Here is a story of one example of this. Harrison, a first year 6th grade player on the Triangle Blazers basketball travel team, was injured in the first game of the season on a Friday night when jumping up to receive a pass and taking some hard body contact from a player on the opposing team. Harrison went down and within moments had his Triangle Blazers teammates gathered around to help him up. When he couldn’t get up, within moments he had one Triangle Blazers coach, then another, and then a third. They were able to get him up and over to the bench and begin the process of applying ice to his wrists. Harrison was able to stay and watch his team continue the game, but unable to play. He stayed on the bench and continued to ice his wrist. He wasn’t ready to go, so he watched the next game of an older Triangle Blazers team play before heading home. 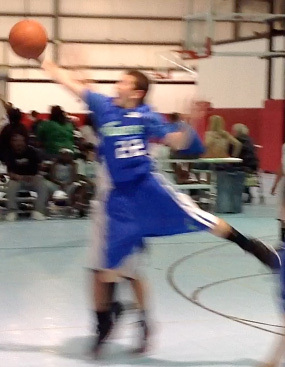 Coach Michael walked Harrison out and wrote Harrison’s number, #22, on the same wrist that was the most injured, his left. The next day Harrison was not ready to play, but he showed up to watch an older team (Class of 2017) play as well as his team. The older boys had heard about Harrison’s wrist from one of their coaches. The whole team came to Harrison in the spectator seating before the game to say hello and show their support. They all held up their wrists and showed that they had a 22 written on their wrists. They had borrowed the idea of writing the jersey number on their wrists from the UNC Chapel Hill effort to write #5 on the right wrist when Kendall Marshall injured his wrist. 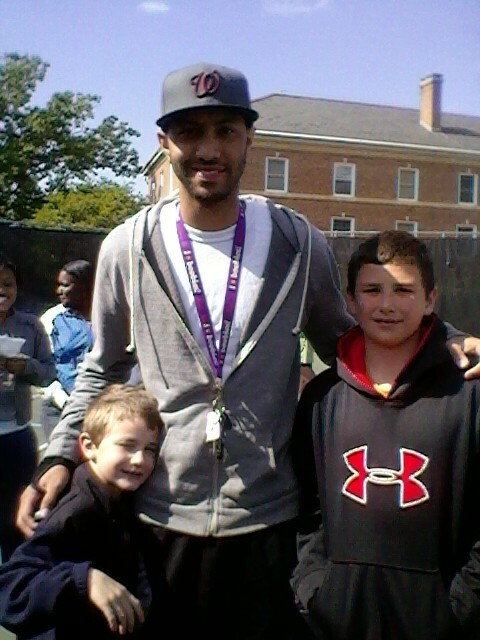 Harrison is seen with his little brother and Kendall Marshall at UNC-Chapel Hill soon after both of their wrist injuries.